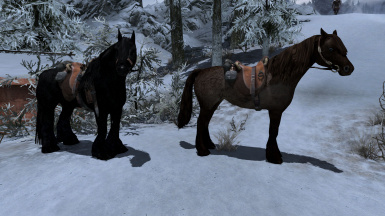 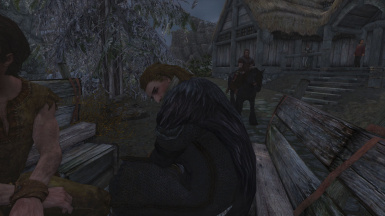 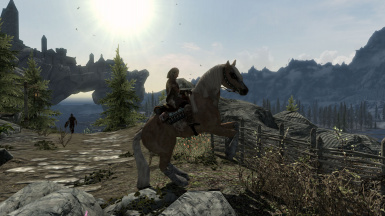 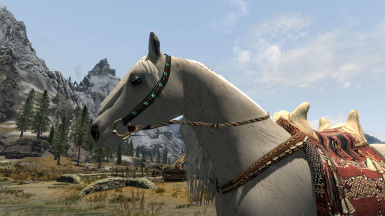 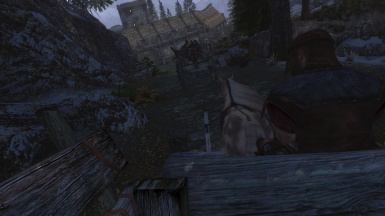 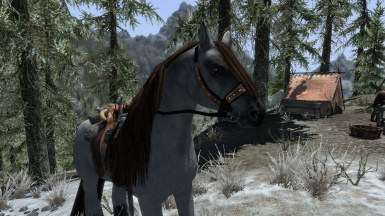 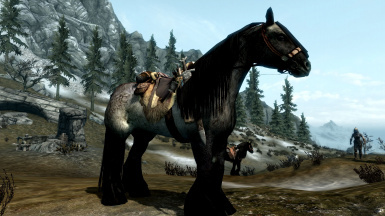 Replacer for all horses in Skyrim with Tasheni's Winterhorses and all saddles with Tasheni's Saddles. 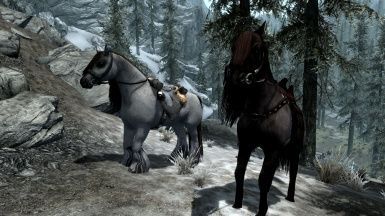 Except Shadowmere. 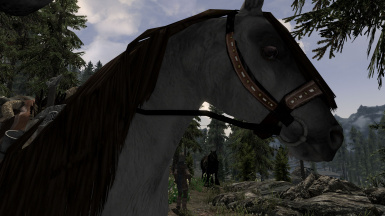 Horses are protected and have different speed and stats. 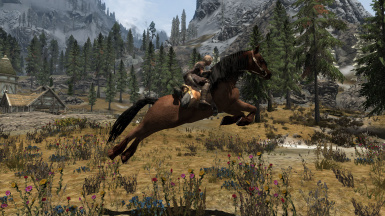 Playable Modder's resource. 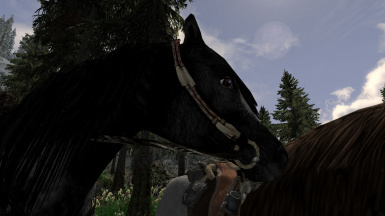 If you use any assests of this mod please credit me, fierymarigold and AlienSlof. 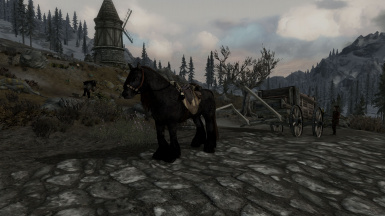 You may not use any of these assets in a payed mod. 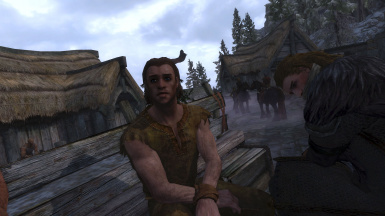 You may not upload any of my work to steam. 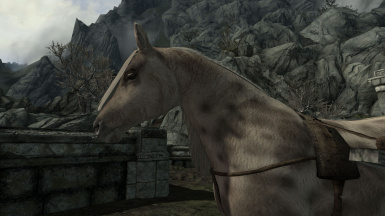 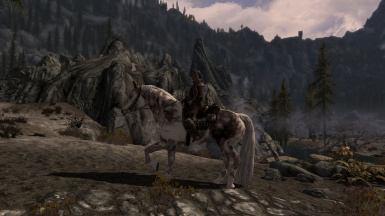 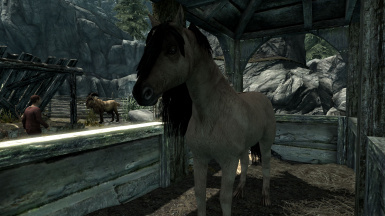 Fixed the Whiterun horse that was not sold to the player. 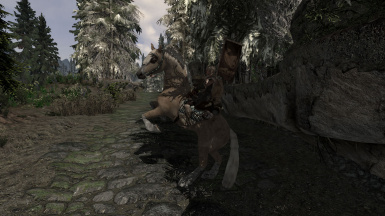 Mod is cleaned with TESVEdit! 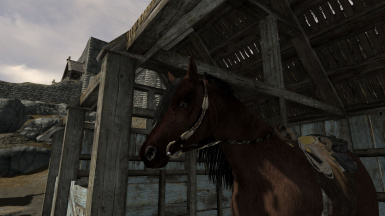 I'm getting better with textures, yeah! 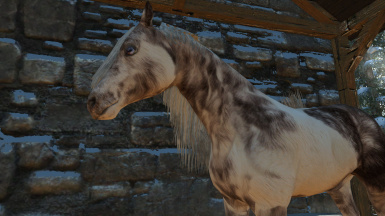 New colors and textures, horses have unique eyes. 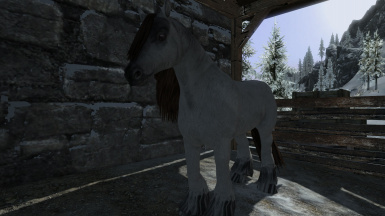 Most of the textures are completely new, some are included from my mod project Winterhorses, but I have reworked them. 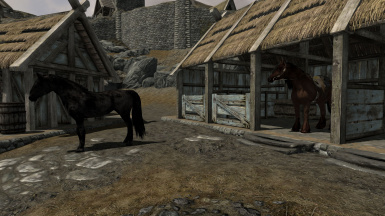 The archieve contains more textures than included ingame, for you to create your own mods. 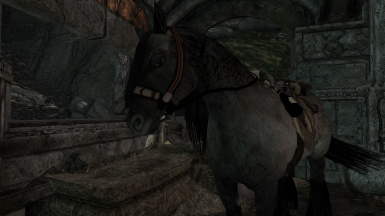 I hope I have covered all ingame horses and saddles. 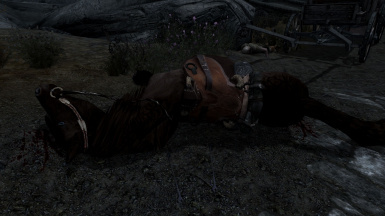 Please report bugs, if you find some. 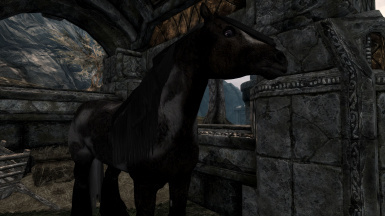 I'm not done with Shadowmere, so he will be included in a later update. 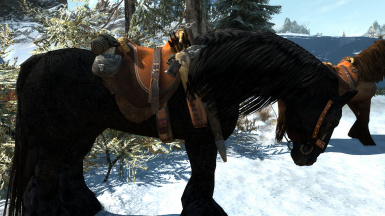 If you have Tasheni's Frost installed, uninstall it, because Frost is included here. 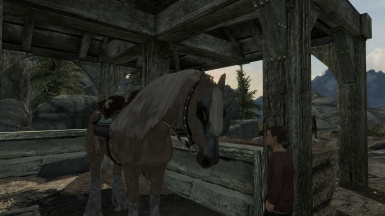 Thank you fierymarigold and AlienSlof for your wonderful resources. 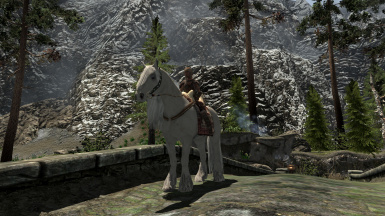 Thank you PhysicsFish for porting it over to SE. 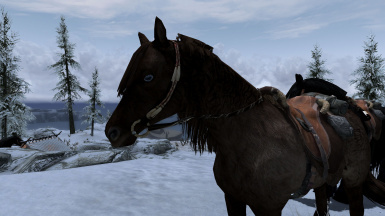 Short announcement: If you create your own horses with these assets, please be aware that the textures for Mustang horses doesn't fit for the Gypsy Horses anymore. 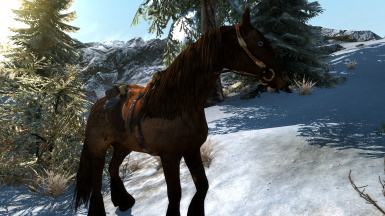 It's because I altered the eyes. 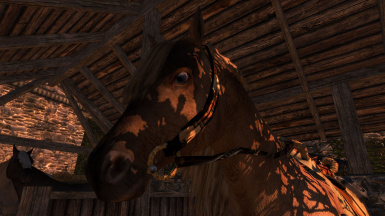 If you use the wrong texture, the eyes will be missplaced. 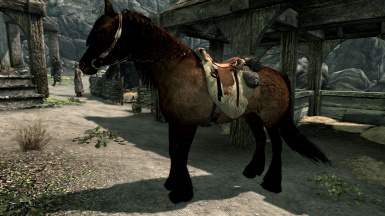 The saddles come in two sizes, for Mustang and Gypsy. 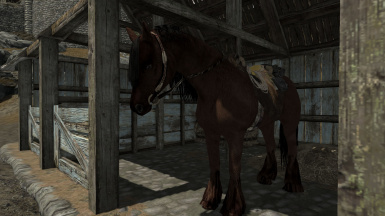 Take care to use the right saddles on the horses, because otherwise clipping will occur. 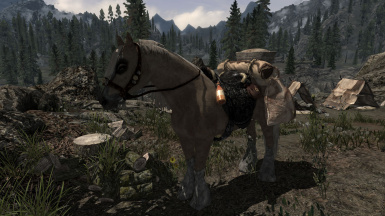 All textures for Imperial saddles will fit on Imperial models, no matter what size they are and so it's with Nord saddles. 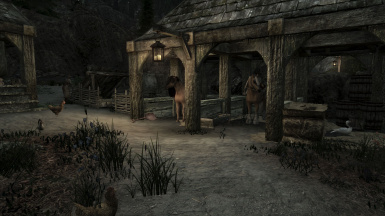 If you want to change the look, just go inside nifskope and alter the texture path to the one you like. 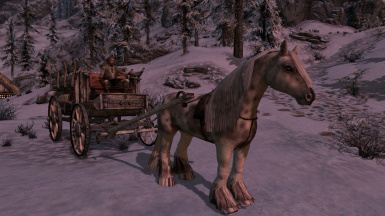 Carriage horses are more difficult to replace, because beth used a single horse for all cart horses. 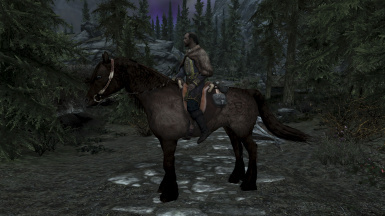 I tried that and messed something up. 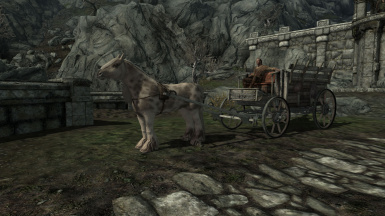 I decided to leave this be, and so it's the same horse for all carriages. 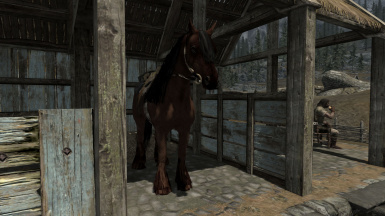 Horses are spawned randomly in Military Camps or in world encounters and I tried the best to vary them, but there exists a leveled list I don't wanted to touch because it could easily get overwritten by other mods. 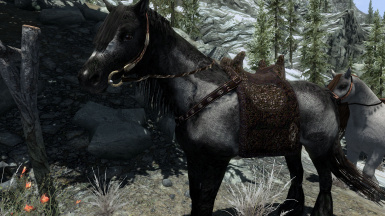 It would need a script to do that and I don't wanted to include scripts - there are always too much of them in every mod. 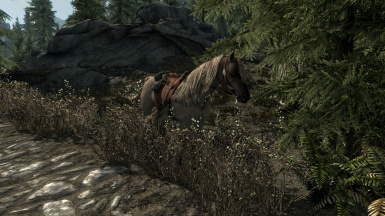 So you may find the same horse in different camps or other vanilla locations. 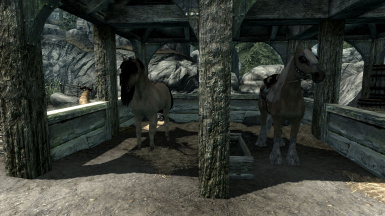 Player horses are all unique. 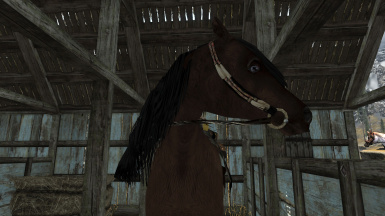 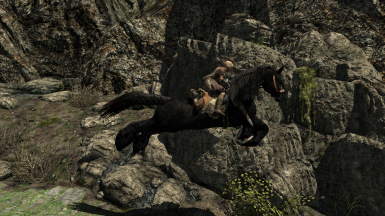 If you would like to have another horse as a player horse, you can alter that easily in ck. 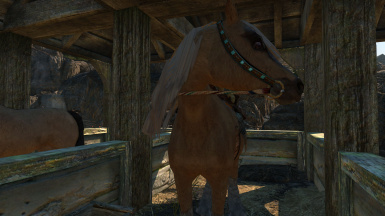 Just go to the actor and change the skin under the traits tab, the names start all with Tash_. 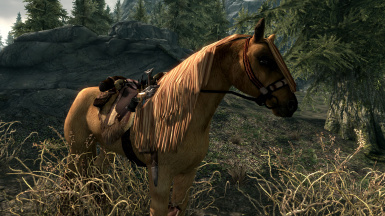 Don't forget to assign the right saddle outfit under inventory, in case you change the horse model. 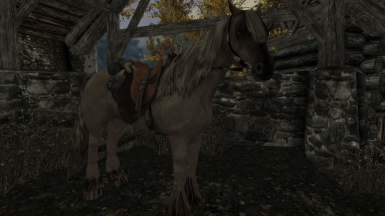 Update: I had more time to test now. 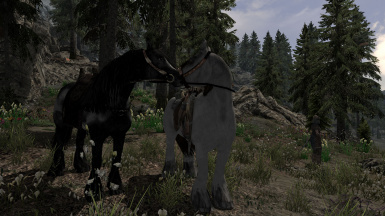 Mod is not compatible with CH or IH! 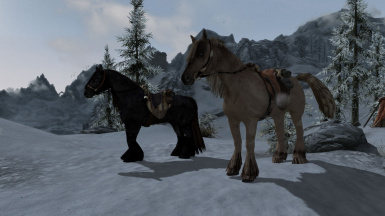 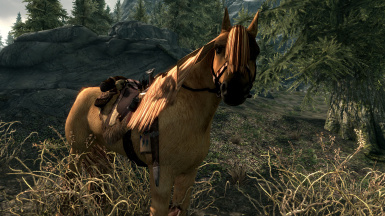 It will not crash your game, but Horses for followers will be modified vanilla.